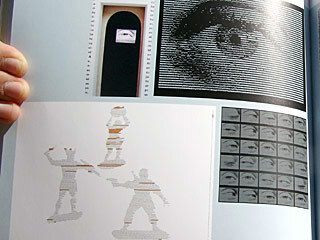 The book features seven FL@33 projects in the categories Type as Image and Type in Motion – SCSI lettering, Dalai Lama Speech poster, Ascii Eye Animation, FL@33 Street Type Logo, Creative Review cover, AAT – Animated, Acoustic Typefaces and Display Type experiment, a previously unreleased typographic experiment. 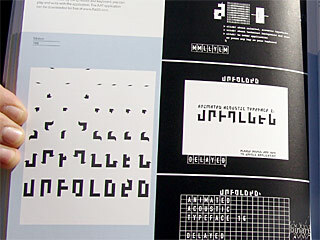 Display Type was created in 2004 and fine-tuned in late 2006 especially for the book. ...sequences were shown on television screens built into confessional boxes. 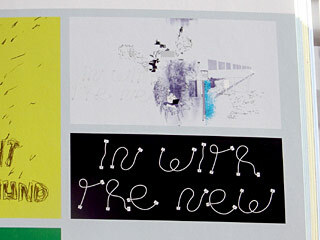 |p.103, top| Design: FL@33 | Project: Street font | Category: Illustration | Date: 2004 | This piece proves that, with a bit of digital manipulation, typographic forms can be found anywhere and everywhere. After comping together variousaerial photographs of road junctions and roundabouts, the designers removed all other elements – buildings, footpaths etc –from the shots. The result is a quirky font with varied line widths and radii. |pp.103, bottom| Design: FL@33 | Project: Pencil Sculpture Illustration Series | Category: Magazine cover | Date: 2002 | Commissioned by Creative Review, the brief for this piece was to illustrate '40 Years of D&AD'. The designers created an illustration from a stack of yellow pencils, a symbol closely associated with the D&AD, laid at a 45-degree angle. 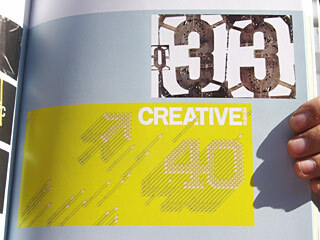 The '40' is given a dynamic drop shadow by the pencil ends. |pp.166| Design: FL@33 | Project: AAT – Animated, Acoustic Typefaces | Category: Font | Date: 1999–2001 | A font collection that explores different typographic qualities and possibilities when used in print and on screen. 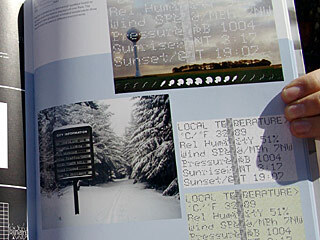 The interactive application was finished in early January 2001 for the Royal College of Art 'Work in Progress' exhibition. There are three typefaces: Delayed, Unfolded and Binary. Each is available in different sound and animation modes. By using mouse and keyboard, you can play and write with the application. The AAT application can be downloaded for free at flat33.com. |pp.167| Design: FL@33 | Project: Display (Self-initiated) | Category: Typeface | Date: 2004 | This font is based on a mechanical typeface found on signage and information displays all over Paris. The designers have produced animated sequences to show how it could be used in different environments. A visual guide to the best in contemporary typographic design, featuring examples and usages of modern typography from around the world. 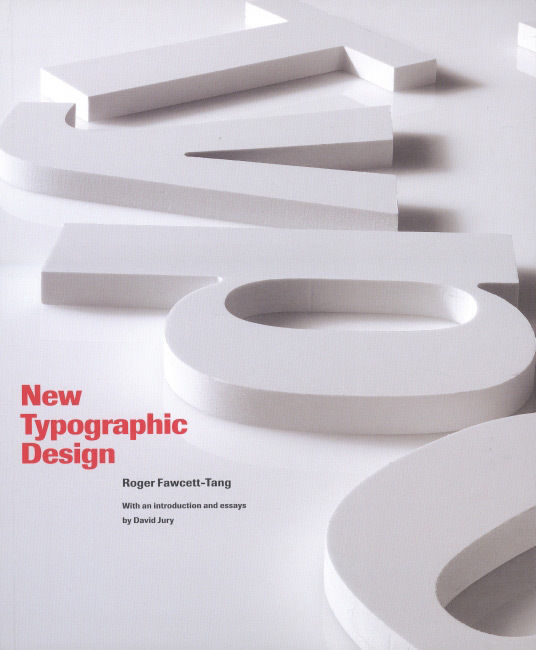 Covering a wide variety of applications, from design to print – magazines, books, brochures, posters, etc – to signage systems and screenbased typography, the book gives an insight into the current trends and directions of modern typography and provides a rich source of inspiration for design students and established designers alike.